It snows, it warms up, it snows, it warms up. All month long. Rinse and repeat. I know it's just winter's last hurrah before exiting for the year but I'm a little over it. Yesterday was another inclement weather day so I did the only logical thing - I baked. It's been a while since I baked a batch of fresh scones but they're so great with a cup of tea on a rainy/snowy afternoon. 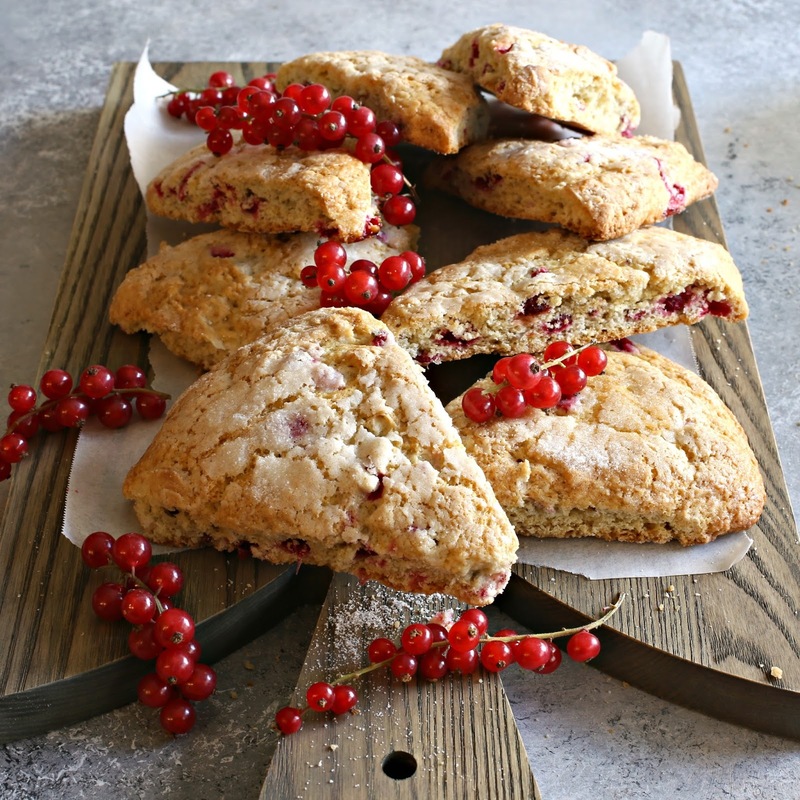 I scoured my kitchen for flavoring ingredients and decided to use up some fresh red currants. But feel free to use the dried kind because they'll work just as well. It's a simple recipe that comes together quickly and makes the house smell great. 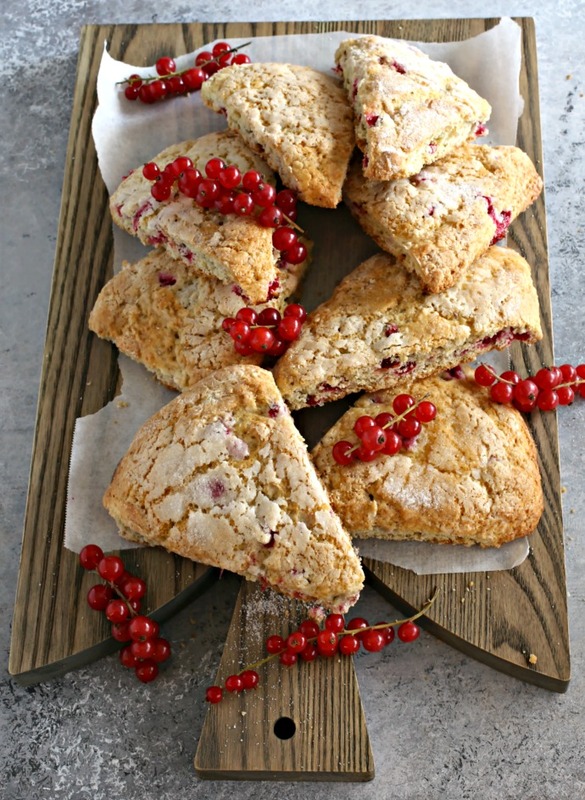 And then, within a short period of time, you have fresh scones. It makes waiting for spring a bit more bearable. Enjoy! Add the flour, sugar, baking powder, baking soda, salt and butter to a large bowl. Using a pastry cutter or fork, cut the butter into the flour until the mixture resembles course crumbs. In a separate bowl, beat together the egg, buttermilk and vanilla. Then add it to the flour and butter mixture. Stir to combine and fold in the currants. Turn the dough out onto a well floured surface. It will be very sticky at first. Pat it down to approximately 1" thick, fold it over onto itself and repeat about 6 times. Cut the final round into 8 pieces and place on a baking sheet lined with parchment paper. 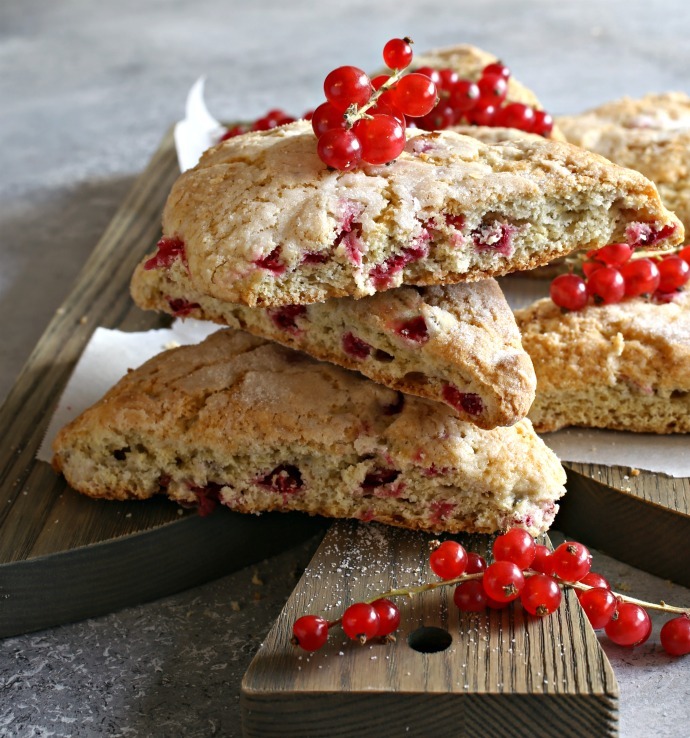 Brush each scone with the cream and sprinkle on the tablespoon of sugar. 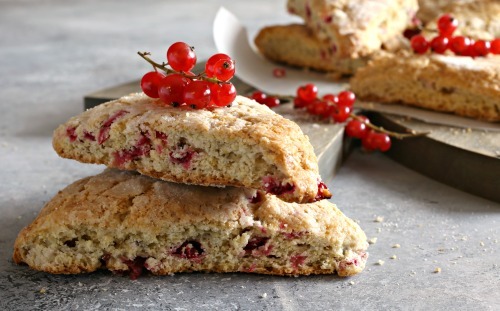 Bake for 18 - 20 minutes or until the scones are a light golden brown.